Our LML Vespa Floor Rail Kit is ideal for all sorts of Vespa models. These kits are made using high quality Aluminium components. 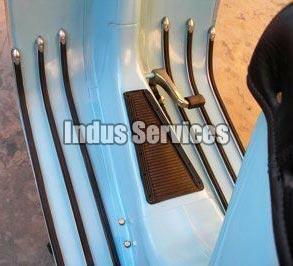 The LML Vespa Floor Rail Kit have an OEM specification and is offered to clients at market leading prices. The high quality of the LML Vespa Floor Rail Kit has made it extremely popular.